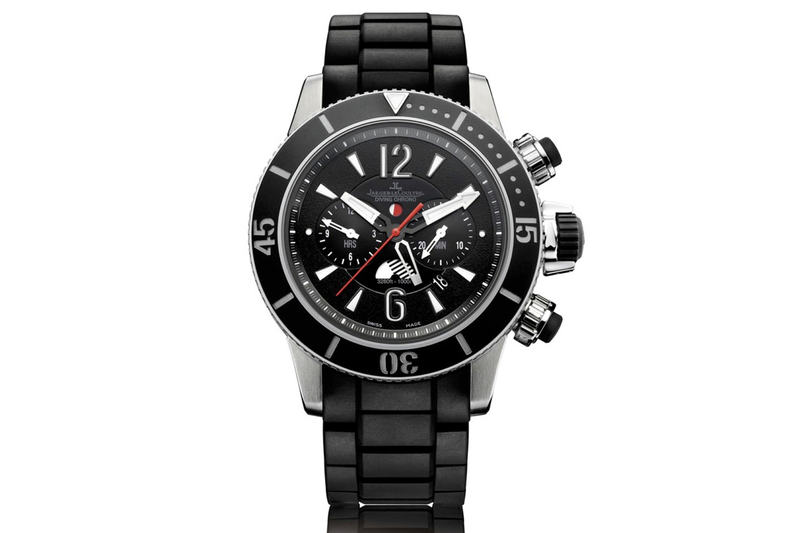 The Master Compressor Diving Chronograph GMT Navy SEALs. The Manufacture’s engineers justifiably consider reliability and safety to be indispensable requirements for a diving watch. 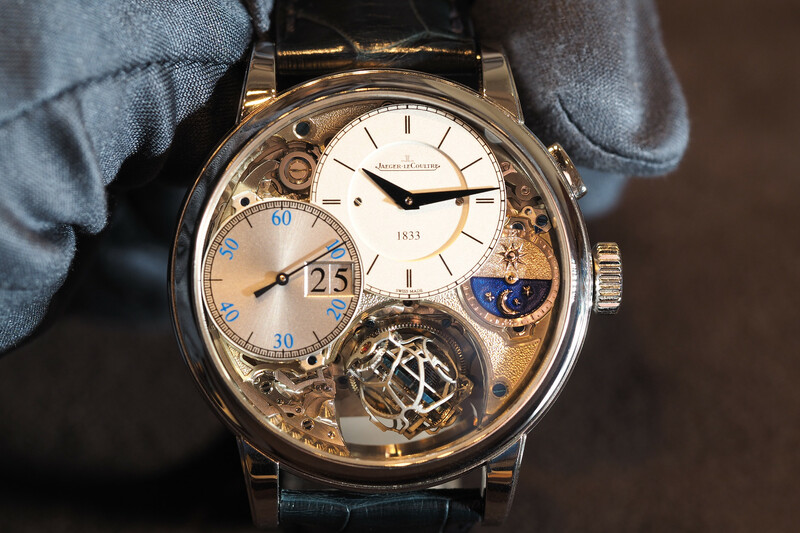 Accordingly, they have made the 1500-piece limited edition titanium watertight to 1000 meters and the 500-piece pink gold version watertight to 300 meters. This watch is a member of the very select circle of timepieces that combine the chronograph function with a second-time zone. 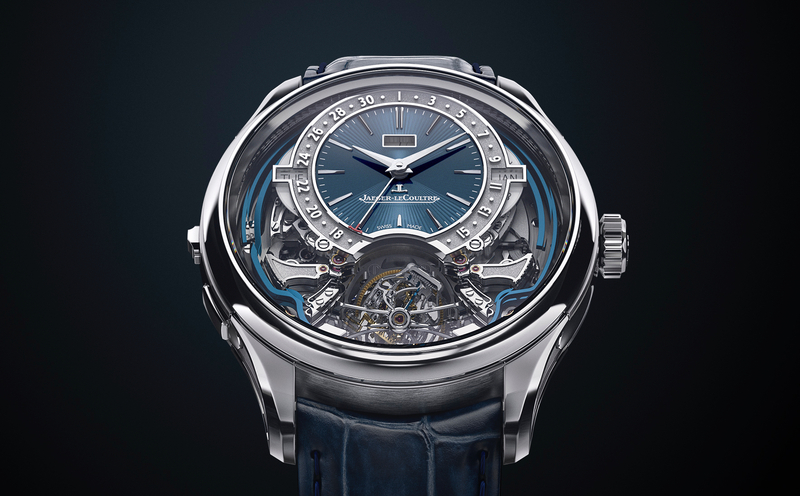 The new self-winding mechanical movement, Jaeger-LeCoultre’s Calibre 757, operates at a frequency of 28,800 vibrations per hour and has a 65-hour power reserve. The black and white dial is perfectly legible despite the amount of information it provides: hours and minutes in the centre, chronograph function display on the centre second hand, hour counter at 9 o’clock and minute counter at 3 o’clock. The operating indicator takes the form of a disc alternating white and black with white streaks as it rotates. 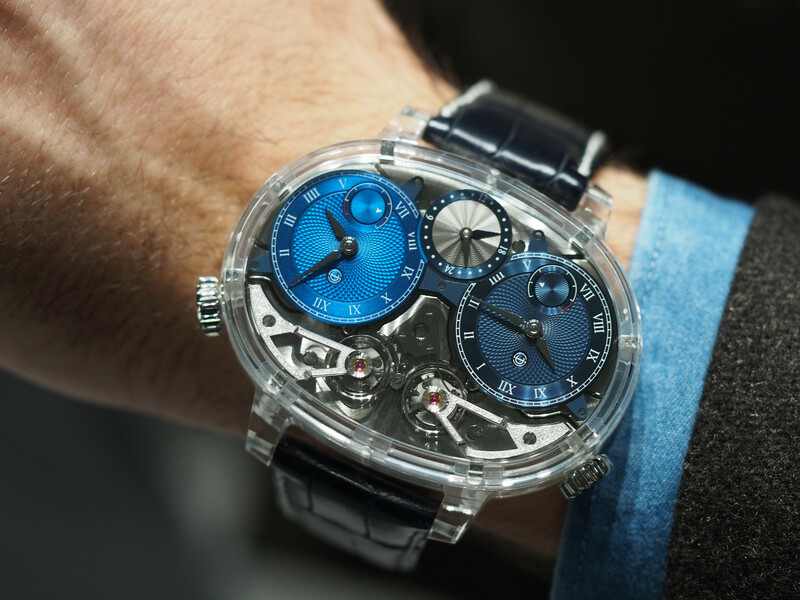 Inspired by the hometime/travel time principle patented by Jaeger-LeCoultre, the second time zone indicated by a skeletonized hand is supplemented by a day/night indicator appearing in an aperture at 12 o’clock. The crown at 3 o’clock is flanked by two pushpieces that are covered with black rubber and sport the line’s iconic compression fins – the pushpieces that operate the chronograph.